Kendall Weaver grew up in Decatur, Georgia, which is on the East side of Metro Atlanta, but she hails from the windy city, which is why she considers herself to be a tough-skinned, bittersweet GA peach. Kendall runs a financial consulting firm located in the heart of Atlanta that focuses on empowering women and minorities through financial education and implementation of sound financial strategies. This is a pretty big deal considering Kendall’s family was poor and she became a teen mom by the age of 17. The situation forced Kendall to grow up quickly so she could take care of her new family, but she soon discovered that she wasn’t cut out for the corporate world. After being fired from just about every job she’d ever worked, and after much coaxing by a mentor, she decided to pursue a career in finance. Now she runs offices for one of the largest financial marketing firms in North America and leads a team of multicultural boss ladies. Kendall is no stranger to the mental toughness and perseverance required to tackle the challenging times. 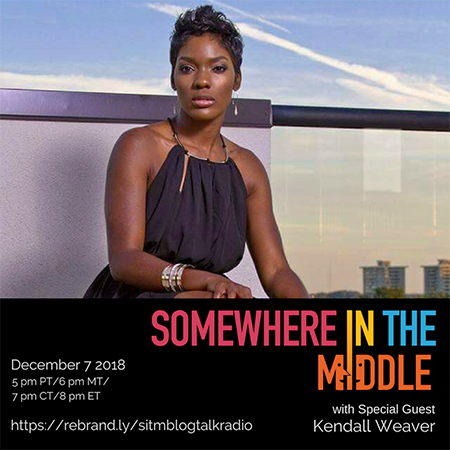 After struggling with homelessness, poverty, teen pregnancy, and two divorces, Kendall has mastered the art of manifesting while making it look easy. In addition, Kendall gives back to her community and is currently working on a project to mentor teen mothers through business and entrepreneurship skills.